“She thought it was all exotic,” says Ju-Er, the nightclub owner, describing the Australian backpackers playing up with a derisive voice. “They shouldn’t be in Singapore.” ABC-TV’s Serangoon Road is filled with excellent examples of 60s colonialism in South-East Asia; examples that can be applied to today. The atmosphere builds quickly to establish Singapore as the beautiful exotic other, a separate character in its own right, with lingering shots of Bugis Street at night, hawker carts on the street, the smokey, dimly lit night clubs, the background noise of Bahasa Malay and Mandarin. 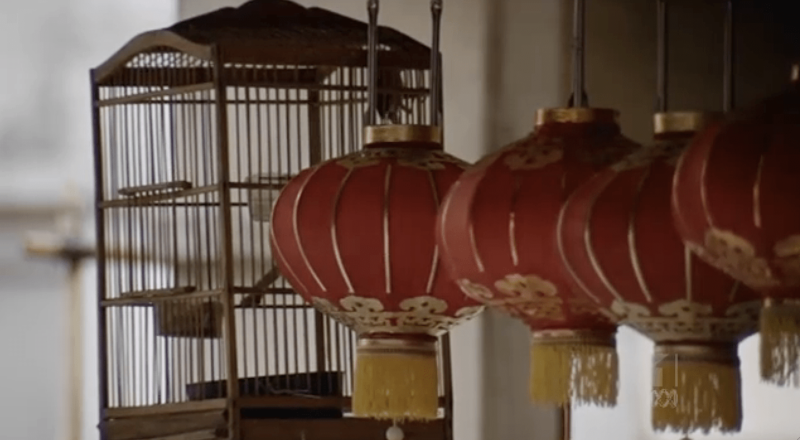 There are red lanterns in the night and birds in cages and one almost feels that one might hear the sound of grasshoppers in tiny bamboo cages. But just as quickly, and throughout the rest of the series, Serangoon Road works to tear this exotic other down by normalising the Singapore we see on our screens, until those images presented in the first episode as different and exotic are nothing but the painful, every day reality of those who live in Singapore; and it’s just as well, because these sights are familiar to many watching this show, whether in Australia or South East Asia. The criticism of Colonialism is most perfectly presented when the futures of South East Asian children are decided on by well-meaning (and sometimes not well-meaning) white people. In episode five, Australians, Americans and the British are involved in a conversation around children dying due to diluted and pirate medications. The critique is not even hinted at here, when Australian Claire parachutes onto a business trip, sees lots of children in a Malaysian village hospital, and then returns to deliver new supplies. “Patronising ang moh woman,” says Singaporean Su Lin, “only she can save the children.” Singaporean Kang wonders aloud what Claire is doing, and when asked by Sam why he isn’t doing anything, says, I don’t pretend to care.” Later, when he is doing real work to solve the issue, Don questions why he lied; “I said I didn’t *pretend* to care,” Kang replies. This is not only a questioning of colonialism, but in the modern environment, a questioning of the continued colonialism in many Western aid programs, the idea of the white saviour and the short term aid work that is done especially by Western interests, without working with or being led by local stakeholders. These parachuting, unwanted and problematic activities are further questioned in episode six. Tong Second Kay Song (Chin Han) finds that his sister has died while giving birth to a son she hid from her Tong family. 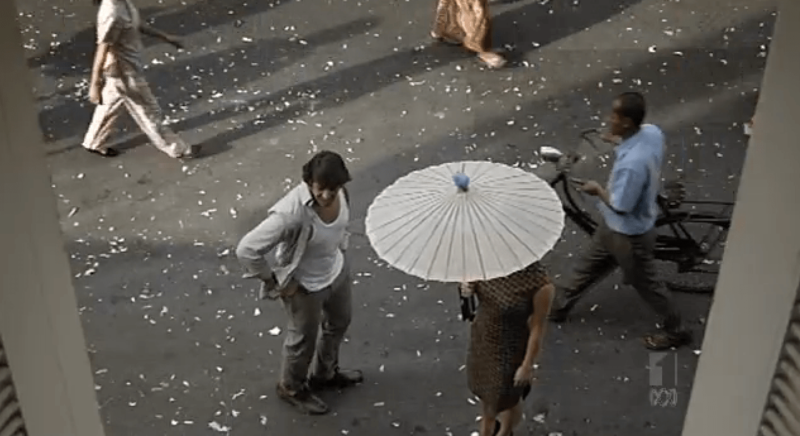 Kay Song tears Chinatown apart looking for his sister’s son, this important new member of their family (important because his sister is dead; important because he is a nephew; important because they are Chinese remains unspoken but not unsaid); meanwhile Sam has secreted the nephew away with Claire. The father of the child cannot take the child, and Sam wants to keep the child away from its gang family. At one point he turns to Claire; “Do you know any expat families who would want a child?” he asks. She reminds him that it’s a baby, not a dog, and an expat family is not the place for him. This is perfect paternal colonialism (and a commentary on international adoption): the white man choosing what to do with someone else’s (Singaporean) Chinese child, as if he has any right, as if he is saving the child from its terrible birth situation, with family right there. The use of language on the show supports this situation, of primacy of Australians and Westerners. English is the primary language used on Serangoon Road, despite the White Paper’s commitment to cultural exchange, with some interactions taking place in Mandarin, Hokkien, and Malay. If the major language of the show is English, despite being used in situations that are internally inconsistent with the show’s universe, the second most used language is Mandarin, historically inconsistent – Hokkien is barely touched upon, despite being incorporated extensively though superficially with the use of ‘ang moh’. The series rounds out with a commentary on where to from here in regards to the Western influence in Singapore. Kay Song has been working in secret to sell land to the CIA, and he and his grandfather the Tiger General have an explicit discussion on colonialism and of being complicit in that. They come and they go, and finally we have Singapore for ourselves, and you help the Americans take it, the Tiger General says. 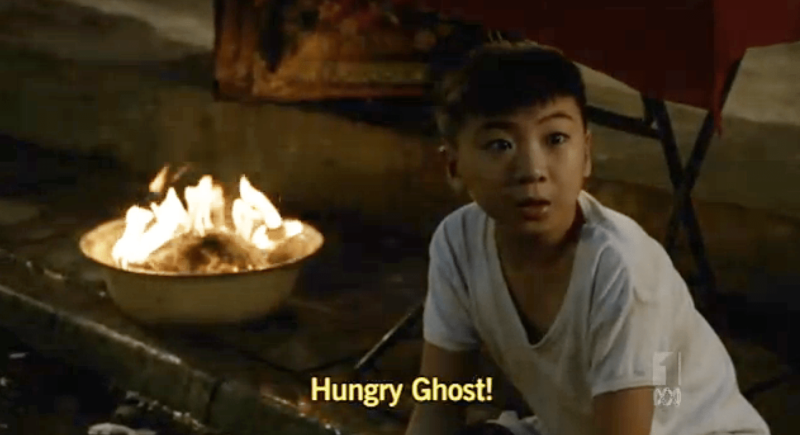 In light of this, and Kay Song’s previous workings with Australians (represented by Sam), the Tiger General dismisses Kay Song and everything he represents – including, perhaps, modern Singaporean values – but before he can be killed Kay Song instead kills his grandfather as everyone watches. “I’m sorry you had to be here for this sad day,” he says to Mrs Cheng, the other Singaporean present, and dismisses her and Sam. In this way “new” Singapore is helping to remove “old” Singapore while everyone else stands by, and the Americans ostensibly wait in the wings; but Kay Song is presented throughout the series as a ruthless man, ultimately completely uninterested in the Westerners except where they advance his own interests, and perfectly content with using them for his own ends and discarding them when he’s done. So it is also a commentary on the removal of colonial influence on Singapore. Despite an Australian protagonist in Sam, with the familiarisation of Singapore and the presentation of Bugis Street and Serangoon Road, we are drawn to see the Singaporean view as the main, sympathetic one. Early in the series an American CIA agent casts his eye upon Su Lin; in texts and in real life, including in Singapore in the 60s, such interracial romances were almost guaranteed as Australian and American servicemen came into South East Asia and left (or stayed) with local wives. She’s out of your league, Sam tells the CIA Agent who expects her to respond to his advances, turning that reality into a commentary, and Su Lin continues to walk all over him in her Peranakan shoes. Though ultimately they end up together as a couple, this early commentary and subversion of the usual stereotype remains. Finally, the take and take relationship the Westerners have with the Singaporeans solidifies this commentary. Inspector Amran is frequently called upon to help Sam, at times to his own detriment; the series builds on this, yet by the final episode Sam has still not helped Amran in any way. “Why do you colonials always think you know best?” Amran asks, and walks away. He gives Sam no chance to reply; but it doesn’t matter, because Sam has none. And ultimately, neither does Serangoon Road. It presents colonialism as questionable, and the role of Western forces in Singapore and South East Asia to be problematic; and despite some Singaporeans pulling away towards their own self-determination (Kang buys Sam out of their Import-Export business), Singaporeans constantly work for (rather than with) Westerners, and the outcomes the Westerners are after are almost the ones that we are left with as the series rounds out. Within the wider media context, Serangoon Road was an attempt to comment on the invisibility of non-white characters and actors on Australian TV screens which ultimately fails – increasing the visible Asians on our screens but making them all non-Australian, and rendering the only non-White Australian regular (Hany) white. There is no room here for mixed-race or non-White Australians who aren’t Indigenous. Further, its commentary on colonialism falls short, and we are left with questions and the affirmation that Australia can be in Singapore, but the reverse cannot be true. And within the wider context of Australia in the Asian Century – well, there’s nothing real to be revealed there, either. There is no security – only ongoing thoughtlessness. There is no cultural exchange, only a continuation of the presumption of Australian superiority in a region that has much to support itself. And there is no deeper, broader relationship – only exactly what has come before.